If you’ve ever dreamed of going all-electric with your next car, then it may be worth your time to compare the 2019 Jaguar I-PACE vs. Tesla Model X. The I-PACE is an all-new offering in the Jaguar lineup, available to drivers in Marlboro, Englishtown, and Freehold. We’re taking a closer look at these two cars and what they have to offer. Continue reading to learn more about the driving experience you’ll have in both the I-PACE and Model X. Then contact us to schedule a test drive! The 90 kWh battery in the Jaguar I-PACE is made of high-energy density and lithium-ion pouch cells. The design and thermal management system help to provide sustained maximum power on every drive. 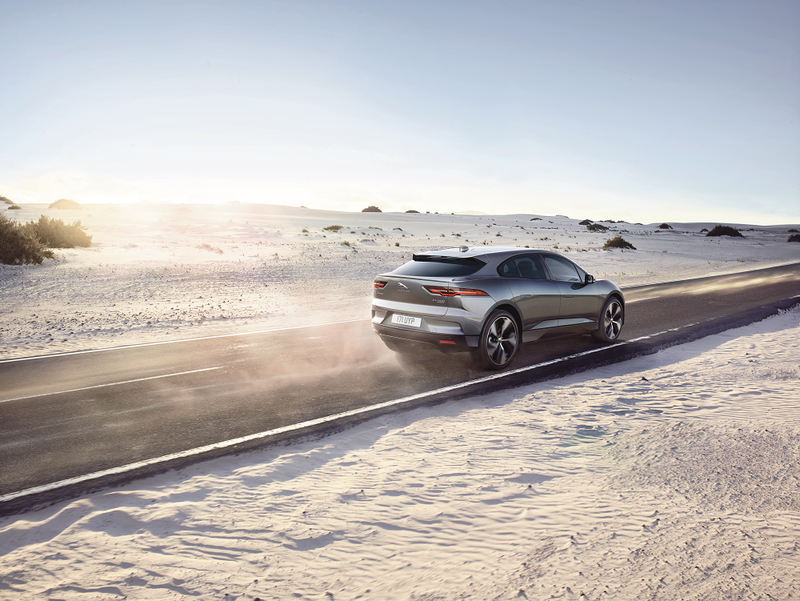 You’ll have instant torque and All Wheel Drive traction, which give the I-PACE a sporty feel. The Tesla Model X comes with dual electric motors and a 75 kWh battery. When comparing the performance of the Jaguar I-PACE vs Tesla Model X, the I-PACE produces 394 horsepower and 512 lb-ft of torque. This is the kind of power you’ll love taking advantage of on the highway, though your drives on winding suburban roads and city streets will be fun, too. With the Model X 75D trim, you’ll have an engine which produces 328 horsepower and 387 lb-ft of torque, a bit off the pace of what the 2019 I-PACE is capable of. Going from 0 to 60? The I-PACE bests this edition of the Model X by .4 seconds. The welcoming cabin of the I-PACE can make you feel at home. The expertly designed sports seats can help you tackle every turn, while the optional performance seats provide better lateral support when going on those dynamic drives. The dual touchscreens found inside the I-PACE are a blast to play with, and even more intuitive thanks to Apple CarPlay® and Android Auto™, which are standard features. The 17-inch touchscreen found in the Model X may be large, but it doesn’t feature this smartphone capability. Easily link up a phone in the I-PACE and have access to text messages, navigation functionality, and music. Loading items into the vehicle? Just wave your foot in front of the rear bumper of the 2019 I-PACE, and the liftgate will open automatically for simple cargo loading. The Model X uses space well, but doesn’t have a comparable liftgate feature. Safety-wise, these two vehicles are well-equipped, as they both have standard rearview cameras, traction control, electronic stability systems, and available blind spot warning systems. 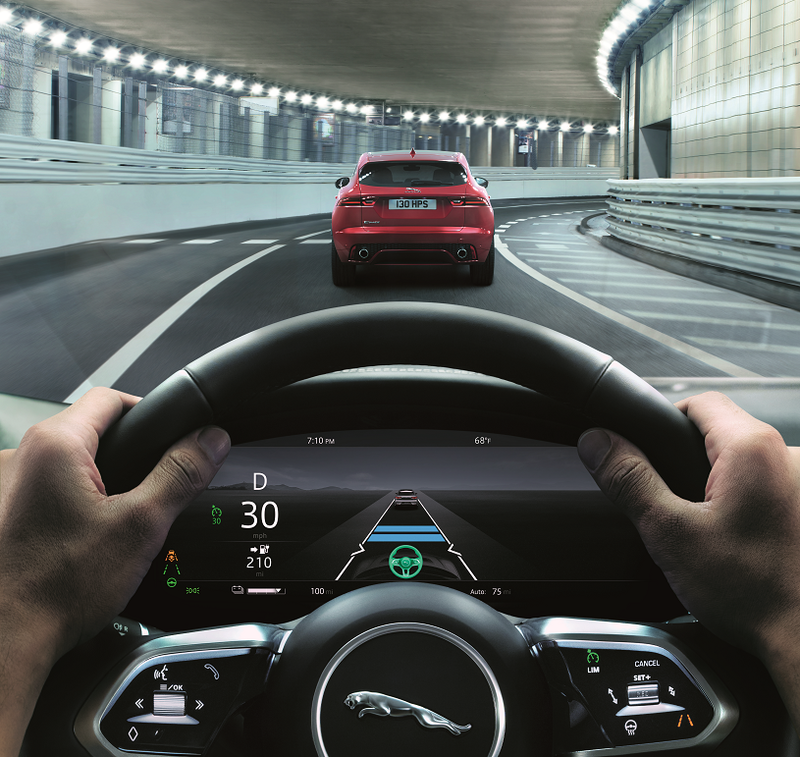 The I-PACE can be equipped with a 360-degree surround-view camera if you’d like, which helps you see any objects around the vehicle on the screen in front of you. The Tesla Model X comes with rear monitoring and front and rear parking sensors, but doesn’t give you a look at what’s happening at the sides. These two cars are aimed for those seeking to get into the world of electric vehicles. However, they’re certainly very different. The 2019 Jaguar I-PACE vs. Tesla Model X debate will continue to rage on after you finish reading this, but for our money, there’s no question that the I-PACE is the better option in Marlboro, Englishtown, and Freehold. 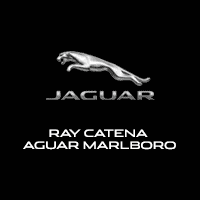 Visit Ray Catena Jaguar Marlboro to take a test drive of this all-new Jaguar model, and see what makes it special.